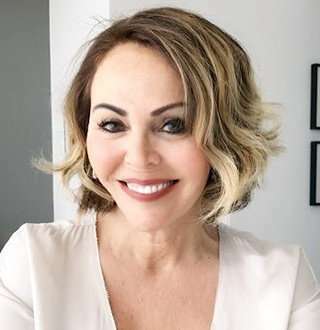 American media personality Maria Elena Salinas has ended her married life after a divorce with her husband. But, she has got her daughters to fulfill the single love life. The California native hosts the Investigation Discovery's crime talk show The Real Story with Maria Elena Salinas. She is one of the most prominent Hispanic female journalists in the United States, who was regarded as the "Voice of Hispanic America" by The New York Times. The veteran journalist was born on 30 December 1954 in Los Angeles, California. She spent her childhood with her parents in Mexico and later relocated to Los Angeles. Maria, who possess a Mexican-American ethnicity, earned her graduation from the University of California. She initiated her profession as a reporter, anchor, and public-affairs host in KMEX-TV. In 1981, she joined American-Spanish broadcasting media Univision Network. Maria worked as a news anchor of a Spanish news program, Noticiero Univisión for more than three decades in the Univision Network. Maria also holds a long-time experience in the field of philanthropy and public service. Salinas has volunteered for the National Association of Latino Elected and Appointed Officials for about two decades. Similarly, she is the founder of the National Association of Hispanic Journalists, and in 2006, she was inducted into its Hall of Fame. She works as an independent journalist and serves as a Principal of MES multi-media LLC. When it comes to earning, her distinction in the media has made her amass a surprising amount of income. Glassdoor.com suggests that the salary of an anchor in Univision Network ranges from $64K to $72k. And for her long stint to the network, she has probably earned above the average salary. In February 2017, she listed her historical Miami-area mansion on the market for $3.45 Million. It resembles that she has accumulated the enormous amount of net worth. Regardless of her successful career, the personal life does not indicate the same success. She was married to Emmy Award-winning journalist, Eliott Rodriguez, 62. However, Maria and her husband, Eliott decided to part their ways in 2007. In the lawsuit filed for divorce, she even asked for alimony. They had two houses in Florida; a four-bedroom house in Coral Gables, and a 2,000-square-foot condo in Key Biscayne. The property was valued at about $ 2.1 million in 2007. Maria kept the house in Coral Gables as part of their settlement. The former couple shares two daughters from their marriage; Julia Alexandra and Gabriela Maria. After the divorce with her husband, Maria took responsibility to raise her daughters. She timely updates her social media with the mentions of her daughter. Maria made a tweet back in July 2015, insisting that her daughters are 20 and 18 years and are very excited about voting and making a difference. She recalled the memory of traveling Japan with her daughters a year ago in August 2018. Likewise, on December 2017, she uploaded a throwback picture of 2006's winter via Instagram and stated that she made great memories. Maria divides her spare time with her family and regards that there is nothing like spending time with the family. It's likely that she loves spending quality time with her children and is happy raising her kids as a single mother.